James Harvey Mills, circa 1890. Burial*: Interment was in Hillcrest Cemetery, Canton, Van Zandt County, Texas. [S71] B. G. Foster, "James Harvey Mills," in The History of Van Zandt County, Texas (Wills Point, Tex. : Van Zandt County Gen. Soc'y, 1984). [S961] Find A Grave, online at http://www.findagrave.com, memorial for James H. Mills, memorial no. 44791287, viewed on 17 Aug 2013 (giving the date but not the place). [S961] Find A Grave, online, above, memorial for Mary M. Samuel Mills, memorial no. 28561224, viewed on 17 Aug 2013. [S961] Find A Grave, online, above, memorial for James H. Mills, memorial no. 44791287, viewed on 17 Aug 2013. 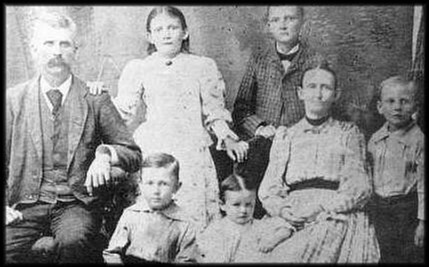 Mills family, circa 1890. Back: James Harvey Mills, Mary May Virginia Mills, and Rufus E. Lee Mills. Front: John Jacob Mills, Maudie Mills, Mary Missouri Samuel Mills, and James Milton Mills. [S961] Find A Grave, online at http://www.findagrave.com, memorial for Mary M. Samuel Mills, memorial no. 28561224, viewed on 17 Aug 2013 (naming John Jacob Samuels as her father). [S961] Find A Grave, online, above, memorial for Mary M. Samuel Mills, memorial no. 28561224, viewed on 17 Aug 2013 (naming Catherine Ann Lee as her father). Marriage*: He married Unity Hughes. Birth*: He was born on 24 July 1814. Death*: He died on 26 March 1872 at age 57. Marriage*: She married James Milton Mills, son of James Mills and Elizabeth Taylor. Birth*: She was born on 21 August 1821. Death*: She died on 9 April 1890 at age 68. Marriage*: He married Elizabeth Taylor. Birth*: He was born in 1769. Death*: He died on 21 July 1859. Marriage*: She married James Mills. Birth*: She was born circa 1780. Death*: She died in 1853. [S72] Wayne M. Harris, "James A. Harris Family," in The History of Van Zandt County, Texas (Wills Point, Tex. : Van Zandt County Gen. Soc'y, 1984), pp. 278-79, (stating that his mother's maiden name was Golden). [S72] Wayne M. Harris, "James A. Harris Family," above. [S236] Photograph of grave marker provided by Charles O. Richardson, Jr., accompanying letter to Roger Bartlett, 14 Apr 1997 (giving only the year and not naming the place). [S11] Index to Texas Death Records (Austin, Tex. : Tex. Dept. of Health, Bur. of Vital Statistics), typescript, 1903-40, vol. 22, p. 10783, file 7328. [S236] Photograph of grave marker provided by Charles O. Richardson, Jr. on 14 Apr 1997, above (common stone with Parmelia J. Harris). [S72] Wayne M. Harris, "James A. Harris Family," above, (stating that James A. Harris was his father). [S72] Wayne M. Harris, "James A. Harris Family," in The History of Van Zandt County, Texas (Wills Point, Tex. : Van Zandt County Gen. Soc'y, 1984), pp. 278-79, (naming Amanda Tatum McLeod as mother). [S768] Brigitte Russell, electronic mail to Roger Bartlett, 21 Jan 2002, (naming Amanda Tatum as her mother). [S768] Brigitte Russell, electronic mail to Roger Bartlett, 21 Jan 2002, (naming John McLeod as her father). [S236] Photograph of grave marker provided by Charles O. Richardson, Jr., accompanying letter to Roger Bartlett, 14 Apr 1997 (giving her name as Permelia [sic] J. Harris) (common stone with James A. Harris). [S72] Wayne M. Harris, "James A. Harris Family," above, (stating that Pamelia Jane McLeod was his mother). Marriage*: She married John McLeod. [S72] Wayne M. Harris, "James A. Harris Family," in The History of Van Zandt County, Texas (Wills Point, Tex. : Van Zandt County Gen. Soc'y, 1984), pp. 278-79. [S72] Wayne M. Harris, "James A. Harris Family," above, (naming Pamelia Jane McLeod as her sister and thus implying that Amanda Tatum was her mother). [S72] Wayne M. Harris, "James A. Harris Family," above, (naming Pamelia Jane McLeod as his sister and thus implying that Amanda Tatum was his mother). [S72] Wayne M. Harris, "James A. Harris Family," above, (naming Amanda Tatum McLeod as mother). Marriage*: He married Amanda Tatum. [S72] Wayne M. Harris, "James A. Harris Family," in The History of Van Zandt County, Texas (Wills Point, Tex. : Van Zandt County Gen. Soc'y, 1984), pp. 278-79, (naming Pamelia Jane McLeod as her sister and thus implying that Amanda Tatum was her mother). [S72] Wayne M. Harris, "James A. Harris Family," in The History of Van Zandt County, Texas (Wills Point, Tex. : Van Zandt County Gen. Soc'y, 1984), pp. 278-79, (naming Pamelia Jane McLeod as his sister and thus implying that Amanda Tatum was his mother). [S72] Wayne M. Harris, "James A. Harris Family," in The History of Van Zandt County, Texas (Wills Point, Tex. : Van Zandt County Gen. Soc'y, 1984), pp. 278-79, (naming Lizabeth Wade as his mother). [S58] Index to Texas Birth Records (Austin, Tex. : Tex. Dept. of Health, Bur. of Vital Statistics), typescript 1944, vol. 3, p. 1234, file 42466. [S72] Wayne M. Harris, "James A. Harris Family," above, (giving only the year and not naming the place). [S172] Van Zandt County, Texas Cemeteries, Book 3 (Canton, Tex. : Friends for Historic Preservation, 1987), p. 95 (giving only the date). [S312] Social Security Death Index, online at http://tinyurl.com/AncestrySSDI, viewed on 13 Mar 1998 (giving only the date). [S11] Index to Texas Death Records (Austin, Tex. : Tex. Dept. of Health, Bur. of Vital Statistics), typescript, 1980 (microfiche), p. 766, file 400156-80 (omitting name of county). [S312] Social Security Death Index, online at http://tinyurl.com/AncestrySSDI, viewed on 13 Mar 1998 (stating that he died in Feb 1976 and not naming the place of death). [S172] Van Zandt County, Texas Cemeteries, Book 3, above, p. 95 (stating that he was a SP5 in the U.S. Army in Vietnam). [S172] Van Zandt County, Texas Cemeteries, Book 3, above, p. 95. [S58] Index to Texas Birth Records (Austin, Tex. : Tex. Dept. of Health, Bur. of Vital Statistics), typescript 1953, vol. 4, p. 1655, file 173406. [S72] Wayne M. Harris, "James A. Harris Family," in The History of Van Zandt County, Texas (Wills Point, Tex. : Van Zandt County Gen. Soc'y, 1984), pp. 278-79, (giving only the year and not naming the place). [S72] Wayne M. Harris, "James A. Harris Family," above, (giving only the year). [S312] Social Security Death Index, online at http://tinyurl.com/AncestrySSDI, viewed on 15 Sep 2002 (stating that she died in Nov 1981; not naming the place of death but stating that last benefits were sent to an address in Kemp, Tex.). [S74] Carmen Majors, "Thomas King Provence, Sr.," in The History of Van Zandt County, Texas (Wills Point, Tex. : Van Zandt County Gen. Soc'y, 1984), pp. 398-99. [S74] Carmen Majors, "Thomas King Provence, Sr.," above, (stating that he and his wife died when son Tom was twelve years old). [S74] Carmen Majors, "Thomas King Provence, Sr.," above, (naming James C. Provence as his father). [S1539] Texas Deaths, 1890-1976, online at https://www.familysearch.org, record for Thomas King Provence, certificate no. 57080, viewed on 25 Jan 2019 (naming James C. Provence as his father). [S74] Carmen Majors, "Thomas King Provence, Sr.," above, (naming Thomas King Provence as her brother and thus implying that James C. Provence was her father). [S74] Carmen Majors, "Thomas King Provence, Sr.," above, (naming Thomas King Provence as his brother and thus implying that James C. Provence was his father). [S74] Carmen Majors, "Thomas King Provence, Sr.," above, (stating that she and her husband died when son Tom was twelve years old). [S74] Carmen Majors, "Thomas King Provence, Sr.," above, (naming Sarah Elizabeth Light as his mother). [S1539] Texas Deaths, 1890-1976, online at https://www.familysearch.org, record for Thomas King Provence, certificate no. 57080, viewed on 25 Jan 2019 (naming Sara Elizabeth Light as his mother). [S74] Carmen Majors, "Thomas King Provence, Sr.," above, (naming Thomas King Provence as her brother and thus implying that Sarah Elizabeth Light was her mother). [S74] Carmen Majors, "Thomas King Provence, Sr.," above, (naming Thomas King Provence as his brother and thus implying that Sarah Elizabeth Light was his mother). Birth*: He was born in 1879 in Madison County, Alabama. [S74] Carmen Majors, "Thomas King Provence, Sr.," in The History of Van Zandt County, Texas (Wills Point, Tex. : Van Zandt County Gen. Soc'y, 1984), pp. 398-99, (naming Thomas King Provence as his brother and thus implying that James C. Provence was his father). Birth*: He was born in 1882 in Madison County, Alabama. Birth*: She was born in 1877 in Madison County, Alabama. Note*: She had two daughters and was widowed when they were young. For many years thereafter they lived with the family of her brother, Tom Provence. [S74] Carmen Majors, "Thomas King Provence, Sr.," in The History of Van Zandt County, Texas (Wills Point, Tex. : Van Zandt County Gen. Soc'y, 1984), pp. 398-99, (naming Thomas King Provence as her brother and thus implying that James C. Provence was her father). [S74] Carmen Majors, "Thomas King Provence, Sr.," above. Willie Monroe Hurley and Nettie Lee Collins Hurley, courtesy of Jon Cole Thomas. Note*: He was known as Monroe. He moved from Mississippi to north Navarro County, Texas in 1903. 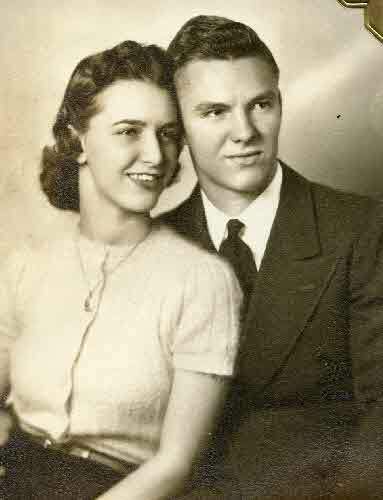 He and Nettie moved to Corsicana in 1922 and were active in the First Baptist Church there. In 1961 he retired from Humble Oil & Refining Company after thirty years' service. [S76] Marie Hurley Fortson, "James E. Fortson and W. M. Hurley," in Navarro County History, vol. 2 (Corsicana, Tex. : The Navarro County Hist. Soc'y, 1978), p. 117. [S138] Ann Marcy, charts and information sent to Roger Bartlett, 7 May 1996 (attributing information to Marie Fortson). [S312] Social Security Death Index, online at http://tinyurl.com/AncestrySSDI, viewed on 16 Mar 1998 (stating that he died in Jan 1987; not naming the place of death but stating that he lived in Corsicana, Texas when he died). [S313] Obituary of Billy D. Hurley, online http://www.rootsweb.com/~txnavarr/Obits/obituary.htm, viewed on 9 Nov 1997, (naming Mr. and Mrs. Monrow [sic] Hurley as his parents and Miss Marie Hurley as his sister). [S805] James Edwin Fortson, "Anita Marie Hurley Fortson," in Navarro County History, vol. 6 (Corsicana, Tex. : The Navarro County Hist. Soc'y, 1991), pp. 372-73, (stating that Billy Doyle Hurley was the brother of Anita Marie Hurley). [S805] James Edwin Fortson, "Anita Marie Hurley Fortson," above, (naming Willie Monroe Hurley as her father). Nettie Lee Collins Hurley, courtesy of Jon Cole Thomas. 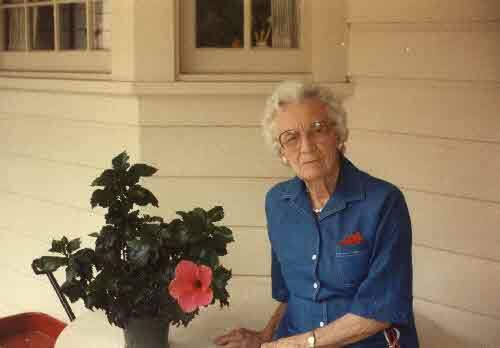 [S318] Obituary of Nettie Lee Hurley, online http://www.rootsweb.com/~txnavarr/Obits/obituary.htm, viewed on 16 Nov 1997 (citing Corsicana Sun, 28 Dec 1993). [S312] Social Security Death Index, online at http://tinyurl.com/AncestrySSDI, viewed on 3 Mar 1998 (giving only the date). [S312] Social Security Death Index, online at http://tinyurl.com/AncestrySSDI, viewed on 3 Mar 1998 (not naming the place of death but stating that she lived in Corsicana, Texas when she died). [S805] James Edwin Fortson, "Anita Marie Hurley Fortson," above, (naming Nettie Lee Collins Hurley as her mother). 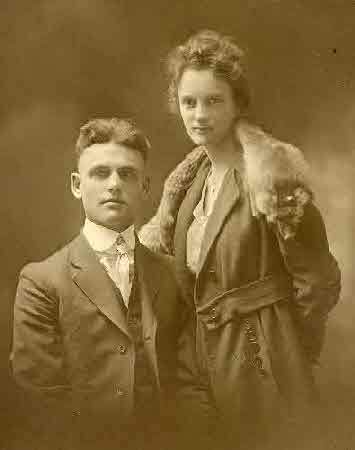 Billy Doyle Hurley and sister Anita Marie Hurley, courtesy of Jon Cole Thomas. [S190] Navarro County Cemetery Records, vol. 10, above, p. 58 (date of death). [S313] Obituary of Billy D. Hurley, above. [S805] James Edwin Fortson, "Anita Marie Hurley Fortson," above.